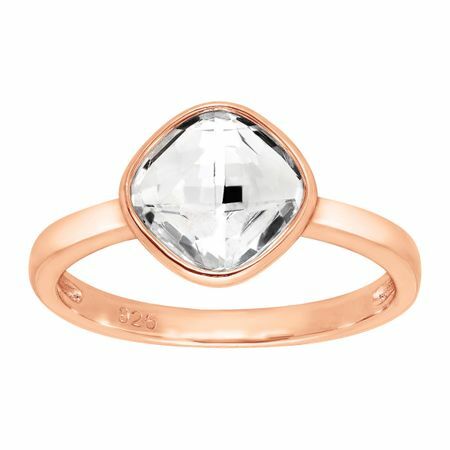 If simple, easy glam is your style, you'll love this minimalistic ring! An 8 mm square-cut white Swarovski crystal is set atop a simple band in 18K rose gold over sterling silver. Ring face measures 3/8 inches in width.